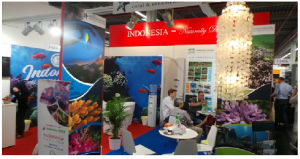 Indonesian companies in the field of ornamental fish and aquatic plants have once again presented their latest products and top trends at the international exhibition Interzoo 2018. Interzoo is the world’s leading fair for the international pet industry, which is held every two years at the Nuremberg Exhibition Center. With more than 1,900 companies from 66 countries participating in the exhibition, Interzoo is expected to expand market access for ornamental fish and aquatic plant products from Indonesia. As many as 21 Indonesian companies participated in this year’s Interzoo. Twelve companies were under the coordination of the Indonesian Ministry of Maritime Affairs and Fisheries while nine participated independently. 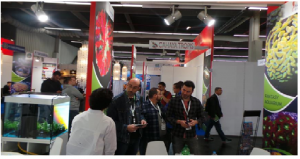 With the rising demand for sustainable quality products in European Market, Indonesian companies made the best efforts to present and promote their initiative on sustainability in the ornamental fish and aquatic plants industry. As a tropical country with a vast maritime territory, there is enormous potential for Indonesia’s ornamental fish and aquatic plants industry. 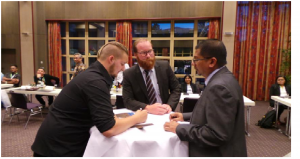 In making the most of Indonesia’s participation in Interzoo, the Consulate General of the Republic of Indonesia in Frankfurt organized an Indonesian-German Business Gathering on May 9th 2018 in Nuremberg. By taking the form of a table-top meeting, the event provided the opportunity for German companies to directly interact and discuss business with Indonesian exporters.